(2) For Clark, this state of the world is something definitely new. He doesn’t like the idea of a single tipping point into global disaster (p. 93), but he’s certainly committed to the idea that the Anthropocene is a “drastic break” with everything that preceded it, and isn’t just “continuous with a long and varied tradition of thought on the relations between weather, climate and human cultures” (p. 62). That word “threshold” comes up again and again. When did this drastic break happen? He’s vague about that, but he generally gives the impression that it was some time after the Second World War (he implies (p. 116) that although some characteristics of the Anthropocene were visible in 1901, it was unusual to be able to see them that early). The truth is, Clark says, denial of the consequences of everyday resource consumption doesn’t happen on the level of the individual, but on the level of “the assumed norms projected by an encompassing infrastructure” (p. 169). “Modern infrastructure in the developed world is, so to speak, denial in concrete”: its buildings and roads only make sense assuming fossil fuel is cheap. Thus, “the objects and routines of normal, daily life are forms of denial in this extended, only distantly psychological sense”; “what most people take for normality must drift towards being a form of environmental denial” (pp. 159, 49; my italics). Ways of living are both normal and abnormal at once: the new scale effects make trivial things like switching on the lights immensely significant, but without stopping them (I take it that this is what the green moralists are supposed to miss) from still remaining trivial as well. In a nutshell, the crisis of the Anthropocene is “a lack of proportionality,” but not one that can be solved by getting things back in proportion. Instead, it’s “a loss of proportion tout court, vertiginously and as yet without any clear alternative,” a contingency that “acts so as to divide, spectralize and alter the nature of each particular act or thing in an imponderable way” (pp. 147, 143). There’s no way in which you can see or localize climate change or ocean acidification or overpopulation: they can’t be adequately represented. That’s Clark’s diagnosis of the environmental crisis. And that emphasis on problems of representation is crucial to his project. It makes the arts central to thinking about the Anthropocene. His underlying question seems to me an essential one: might not “the Anthropocene form a threshold at which art and literature touch limits to the human psyche and imagination themselves?” (p. 176). A large proportion of Ecocriticism on the Edge is taken up not with environmental-political diagnosis but with, well, ecocriticism. Normal-looking readings of literary texts, Clark argues, can now be shadowed, ironized, or “unframed”—though not replaced—by a mode of reading that operates on a whole new scale, one that’s wilfully out of normal proportion. Interpretations of texts that attend in the usual way to issues of form, character, plot, and suchlike can be warped or deranged by analysis on an avowedly inhuman level. The gist of this new kind of reading is: look, so long as all the characters in this story drive cars and benefit from agricultural colonialism and suchlike, who cares about the ins and outs of their poxy lives anyway? Well, I suppose you can read books like that. In fact, Clark demonstrates that it’s possible to do it through some clever readings of some not very interesting twentieth-century short stories. But as he says, the kind of “third scale” reading that he proposes is bound to be thoroughly insufficient by any conventional standards. It can’t help but be acutely repetitive, with little or no purchase on the specifics of any of the texts to which it’s applied. Clark knows all that, of course. That’s why his new type of reading isn’t intended to substitute for other kinds of interpretation, but only to linger on their margins, unsettling the self-containing assumptions that make ordinary kinds of literary-critical practice possible, like an oddball on the bus making you self-conscious about talking on the phone (that’s my analogy, not his). Two earlier books are especially important for Ecocriticism on the Edge. One is Timothy Morton’s Hyperobjects. 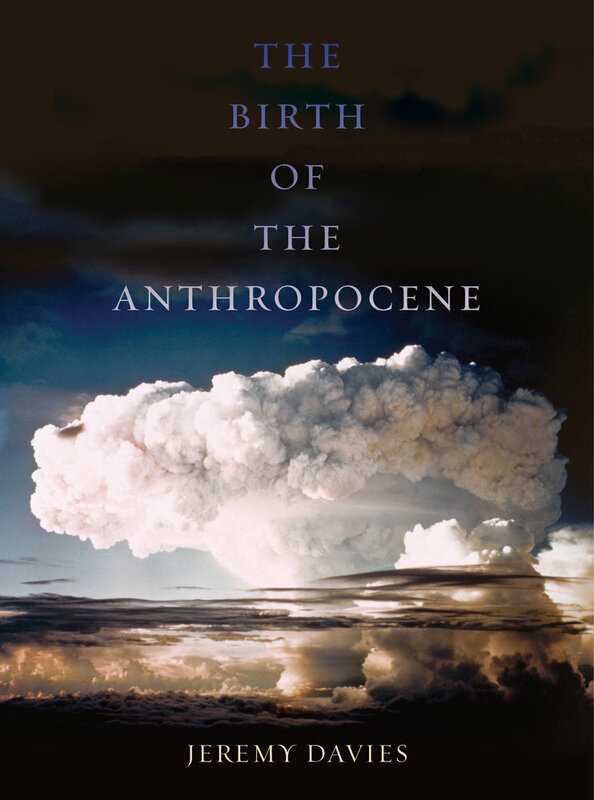 Morton’s book itself makes very idiosyncratic use of the word Anthropocene, but the way in which Clark draws on it suggests that Hyperobjects might yet prove to be an essential text for adumbrating the notion of the new epoch. The other text (new to me) that’s fundamental to his whole analysis is Braden Allenby and Daniel Sarewitz’s The Techno-Human Condition. But after endorsing their work in other respects, Clark ends up querying Allenby and Sarewitz’s “fatalism” and “excessive resignation” (p. 11). It’s hard to know what to make of that, because Clark’s own final conclusions are so thoroughly downbeat. Today’s literary criticism is stuck with “old notions and procedures [that are] coming to seem empty and formulaic, but as yet with little that seems sufficient to take their place.” Proposed artistic responses to the Anthropocene only reveal our “entrapment in the delusory and potentially destructive projections of the personal scale,” and the best thing about them is that at least they “highlight those structural and embodied limits and stupidities in which even the most intelligent are caught” (pp. 195, 192). Inspirational! That relentlessly sceptical conclusion is one of the things that troubles me about the agenda proposed in Ecocriticism on the Edge. Like Clark, I’ve associated the birth of the Anthropocene with a radical derangement of scale brought about by ecological crisis: in my case, the politicization of deep time (“carbon dioxide levels are at their highest for three million years! we must do something about it!”). But I’ve seen the Anthropocene not as a name for that derangement itself, but on the contrary as a useful concept for coming to terms with that derangement. For me, the idea of the Anthropocene epoch offers a way of locating the current crisis within the context of deep time where it apparently now belongs. I wonder, too, how much we can rely on Clark’s claims, seemingly essential to his argument but without much specificity to them, about a “drastic break” within the last few decades from older forms of environmental degradation. And what about another related division: is it true that “the human…inhabits a very different time scale from the rest of the natural world” (p. 150)? I’ve tended to think that that’s at least partly an illusion. Does what Clark has to say about infrastructure hollow out what he has to say about the insignificant-but-significant status of apolitical consumer behaviour? And if it does, can it really be the case that “the scale of the Anthropocene entails a disconcerting de-politicization” (p. 13; his italics) in any meaningful sense? Those unconsidered consumer choices might indeed take place on a pre-political level to some extent, but it’s politics that determines how the electricity for the lightbulbs is generated, how the pineapple fields are owned and managed, and how much the plane tickets cost. With that in mind, how solid are Clark’s claims (pp. 80–87) that the impact of population growth has tended to be underplayed in bien pensant environmental thought? And what about the new strategy in literary analysis that he proposes? I suspect that his divide between “lower-scale” and “third scale” reading wouldn’t prove nearly so clear cut if it was tried out on more formally complex texts. And what are its antecedents? Clark makes some extremely suggestive connections between his third scale, J. Hillis Miller on “anachronistic reading,” and Jonathan Culler on the merits of “overinterpretation” or “overreading.” But that material is strangely underplayed. Clark’s had a long career before this as a literary theorist, and there’s weirdly little in this book about the tradition of Continental theory that he wrote about so brilliantly in The Poetics of Singularity and elsewhere. Why? Mightn’t that tradition have more resources for thinking about problems of interpretation in the time of the Anthropocene than Clark has chosen to discuss here? (He’s intriguingly more forthcoming about the book’s relationship to Derrida in this interview.) Mightn’t there be other ways of thinking about the new status of art in the Anthropocene epoch that aren’t quite as bleak as those he ends up proposing? Questions, questions. I think that what he says about the present state of liberal ecocriticism is probably fair enough, though.